Unfortunately for all of us, most gymnastics competitions are not like the end of Stick It, where [SPOILER for the idiots who haven't seen this classic] a band of plucky girl gymnasts get together and decide who they want to win each medal. A recent controversy over comments made by Italian gymnast Carlotta Ferlito about USA's Simone Biles has demonstrated that sometimes, gymnastics can be less about togetherness and more about racism. But then on Wednesday, the Federazione Ginnastica d'Italia (Italian Gymnastics Federation) shared a Tumblr post on Facebook by a gymnastics fan supporting Ferlito, which reads, in part, "I’m 100% sure that was basically a joke, she didn’t mean to be racist nor rude, she was really pleased with her performance and happy about the final ranking." According to the Chicago Tribune, federation spokesperson David Ciaralli also defended Ferlito via the Federation Facebook account, explaining that Ferlito was simply trying to express the popularity of "a trend in gymnastics at this moment, which is going towards a technique that opens up new chances to athletes of color (well-known for power)," as opposed to an old style of performance that favored a Russian and Romanian gymnastic style considered by some to be more elegant and less strength-based. "USA Gymnastics is disappointed by the recent comments made by Carlotta Ferlito and apparently by the Italian Gymnastics Federation," said USA Gymnastics president Steve Penny in a statement. "Gymnastics is a global and inclusive sport with talented athletes, and there is no place for racial insensitivity. We are contacting the Italian federation for clarification on its comments." Biles' father Ron is also upset. 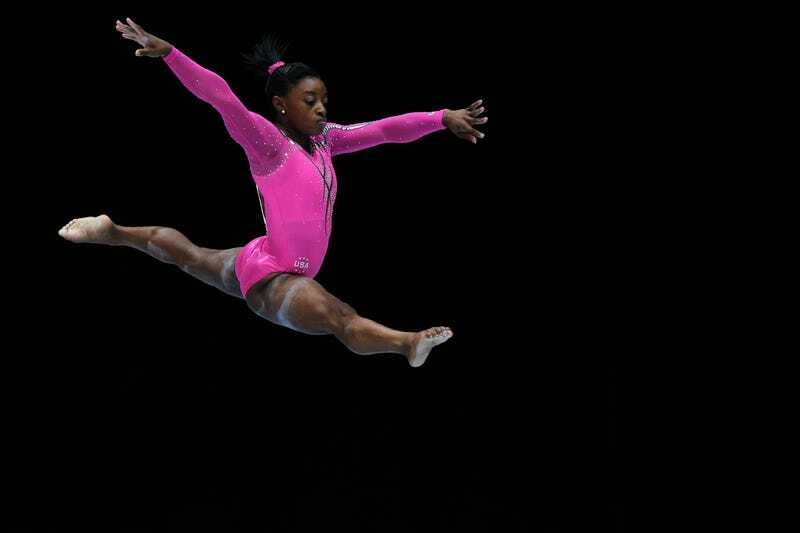 "I found it very insulting," Biles' father Ron said to USA Today. "The racial comment was really out of line," adding that there's an irony to these comments, given that "normally it's not in her favor being black, at least not in the world that I live in." As Italians will constantly tell you, theirs is an incredibly provincial country. Campanilismo – the attachment to one's local belltower – is one of the reasons the place is so charming: people often stay put, they're rooted rather than rootless. All over the country, even in a tiny village, you'll see caput mundi graffitied on walls, suggesting that this sleepy place is considered the capital of the world. The downside is that outsiders are treated as aliens, if not enemies. That history of fascism doesn't help either. Racism is an issue some take seriously: the American University of Rome created the Center for the Study of Migration and Racism in Italy in 2008 to study this very problem. Coincidentally or not, the Italian Football Federation is trying to figure out racism this week also. The Federation has recently imposed strict punishments against teams whose fans say offensive things during games, forcing the teams to play "behind closed doors" when this occurs. But some say that there's a difference between comments that are just the result of "territorial discrimination" (the animosity seen between Northern and Southern Italian soccer fans) and actual racist comments. "I think that everything that can be done against racism should be done, but we should be very careful what we define as racism," said Andrea Agnelli, president of the Italian soccer club Juventus said, echoing concerns of other team presidents. It looks like some members of the Italian gymnastics community would agree with him.